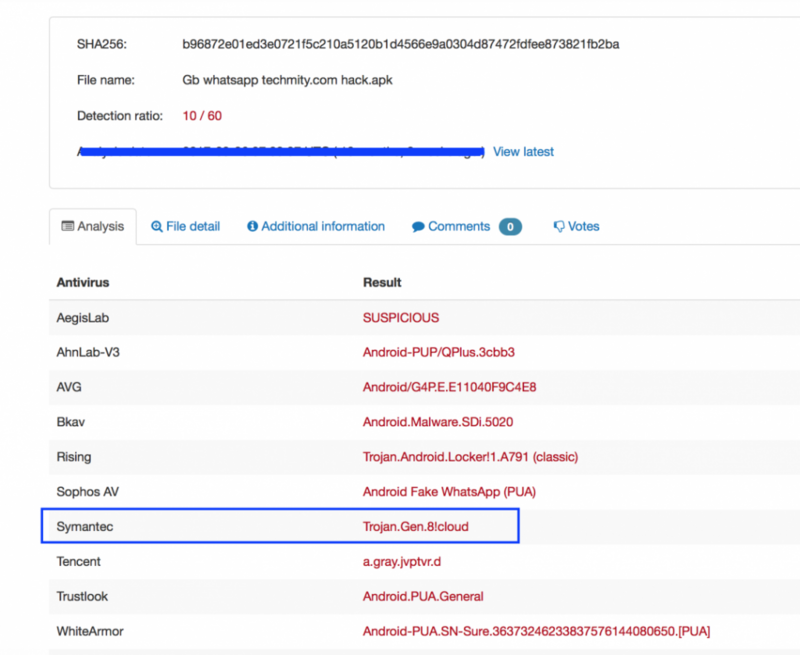 Partner Symantec, recently discovered a new kind of malicious Android file hosted on a OneDrive account. Here’s what they have learned and how you can take countermeasures. Over the last few years, there has been a tremendous uptick in the creation and delivery of malicious Android apps for delivering malware, stealing confidential data, distributing spam advertisements for profit, and abusing mobile resources. We recently encountered a different malicious Android file hosted on a OneDrive account. 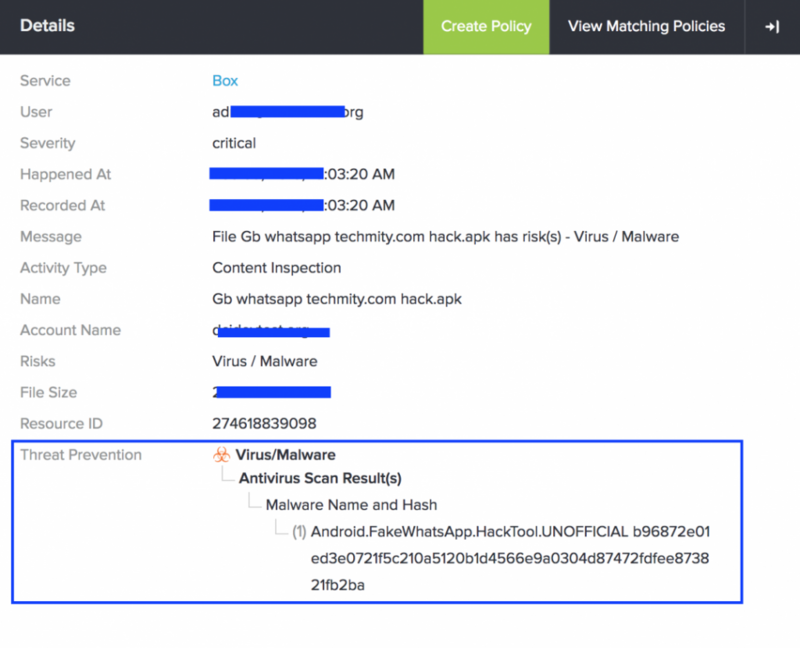 The Android file was named, “Gb whatsapp techmity.com hack.apk” i.e. “Fake WhatsApp”. 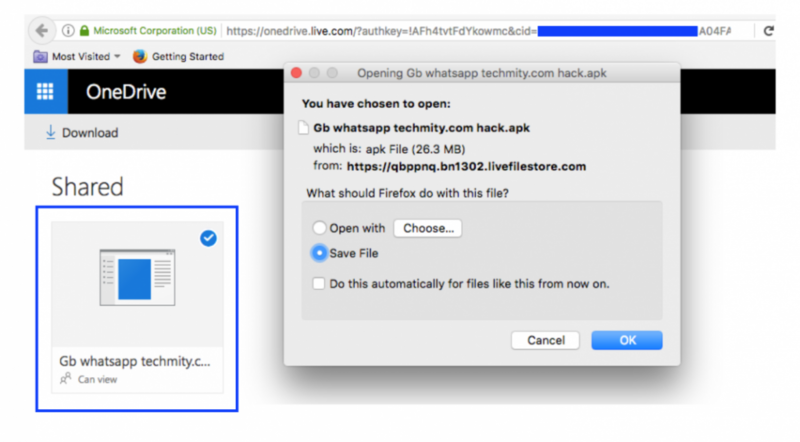 During the course of in-house research and intelligence collection activities, Symantec researchers discovered that Microsoft OneDrive was being used to distribute a “Fake WhatsApp” APK file. When the shared link on OneDrive was clicked, the user was prompted to download the ”Fake WhatsApp” Android package. Figure 2 shows a download of the “Fake WhatsApp” Android application. Let’s see what happens when the shared link was clicked. The HTTP request was redirected by OneDrive to the LiveFileStore URL via a “Location” header. This shows that the Android application is not hosted directly on the OneDrive storage platform. Rather, it was hosted on the LiveFileStore platform. The “livefilestore.com” is actually registered by Microsoft and used to store user-supplied content. This can be considered a content storage platform but it is not same as “1drv.ms”. If any file were to be uploaded by the user, it would be stored on the livefilestore.com and eventually mapped back to the 1drv.ms link. Analysis shows that the application usually performs some unauthorized operations on end-user devices and it uses the name of a legitimate service provider. Analysis and control of cloud application transactions with User Behavior Analytics (UBA). Symantec CloudSOC CASB inspects cloud application traffic and tracks how users interact with these apps. If the user behavior analytics observes abnormal or high risk user activity CloudSOC will increase the threat level for that user and policy controls will be triggered to alert, quarantine, or block activity from that user. 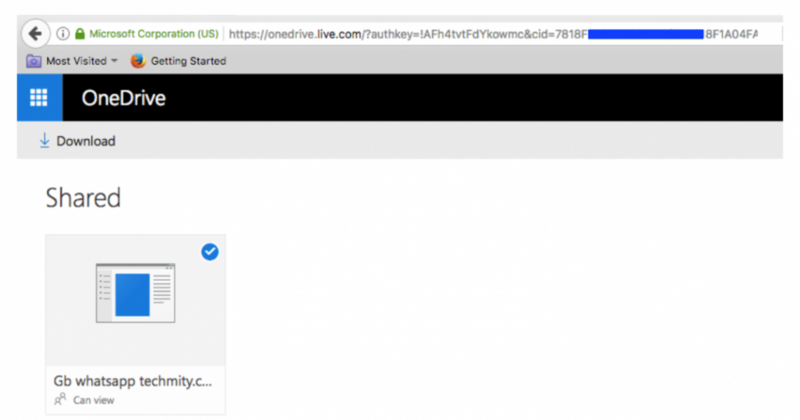 Detect malicious files sitting in OneDrive via APIs and files in transactions with OneDrive. Symantec’s advanced malware analysis engine, along with CloudSOC, will scan files in cloud applications to detect, quarantine, or block malicious files. This case study was originally posted by authors of Symantec and can be found here. Secure Sense is the security provider that cares. We are a team of experts with a passion for IT and protecting your organization is what motivates us daily. If you have questions or want to learn more about how Symantec can improve your organizations security, our services or just want to chat security please give us a shout. If you’re looking to guest blog, please send an email here.